This is only my second year at TFF and there have been some changes. It’s a stellar program this year, staff are as friendly and welcoming as always and I love the poster and marketing materials. But the festival is not feeding the majority of staff. This perk has been withdrawn. There is no Clubhouse and though we do have free coffee, tea and kombucha at a food truck parked in a small empty lot, staff meals will be sorely missed. 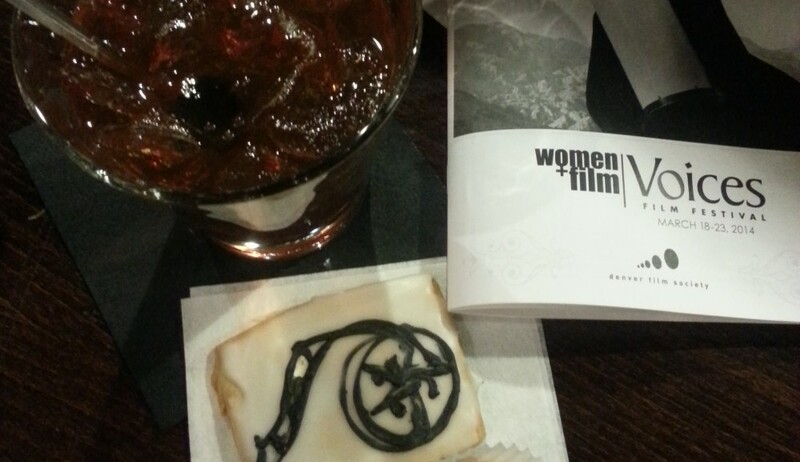 It was a chance to build camaraderie with the other departments and discuss film – going strategy. We all know it was expensive and we were told a week before arriving that they had not been able to find space (with a working kitchen) that could accommodate 800 plus staff and volunteers. So it’s upscale Lunchables (prosciutto, cheese and pretzels), popcorn and soda to power us through the four days. There is still the Opening Night Feed and the Labor Day picnic but it may be a soggy affair with all this rain. Still, the swag bags this year are impressive: backpacks filled with snacks, suncreen, chapstick and a cool waterbottle. Plus a hat, t-shirt and commerative poster. 10% off at a few markets in town. And biggest staff benefit is still in place: pre-festival screenings that we can’t talk about but that also help keep staff out of the queues on Opening Night! So there’s been a little grumbling and grousing around here. Everyone I’ve spoken to would still not miss it for the world, and is hopeful that there will be a better solution next year. Even staff that do get feed with their punch cards are trying to brainstorm improvements to present at the Wrap Meeting. 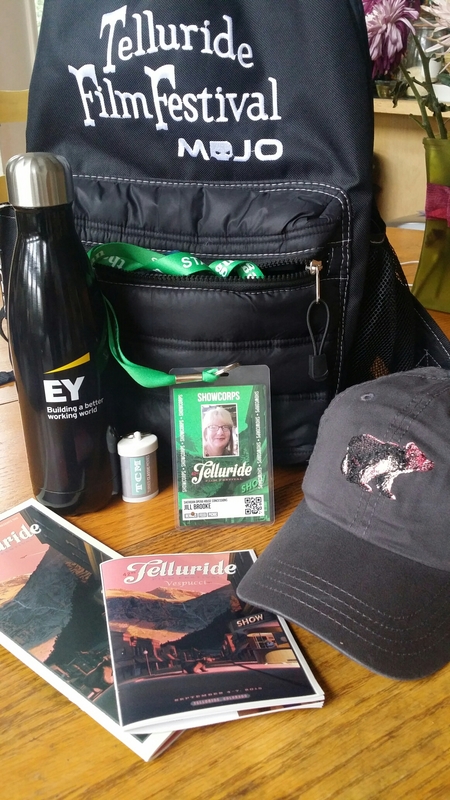 This entry was posted in Uncategorized and tagged #TFF2015, staff, Telluride Film Festival by Jill. Bookmark the permalink.